LifeStation has been a leader in the Medical Alert System industry for more than 40 years by keeping their focus squarely on the customer. 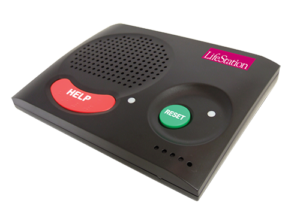 LifeStation carries both at home & mobile systems with plans starting lower than any other Medical Alert System provider. All systems & plans include no activation fees or long-term contracts, free shipping, and what InHomeSafetyGuide.org’s secret shopping team found to be the strongest & simplest money-back-guarantee in the industry. Couple that with the largest and most well-trained customer service team of all providers tested, InHomeSafetyGuide.org has placed them at the top of our ratings for both Overall Value and Customer Care in our BEST Medical Alert Systems for 2019 Rankings. 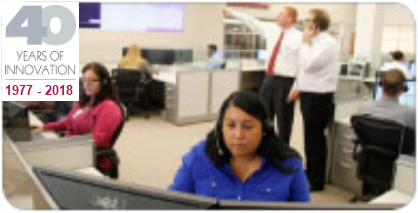 Any Medical Alert System provider we recommend will have best-in-class customer care. LifeStation separates themselves from competitors by treating each and every call that comes into their team with equal & great importance. Our Team of Secret Shoppers made more than a dozen phone calls to LifeStation – each call was answered quickly by a helpful voice on the other end of the line. We recommend giving LifeStation serious consideration when shopping for a Medical Alert System. You will never reach an automated phone tree – a highly-trained (and friendly) customer care rep is always standing by to take your call – whether you’re shopping for a system or you’re an existing customer. InHomeSafetyGuide found LifeStation’s Customer Care team to be friendly, knowledgeable, patient, and very low-pressure during each of our Secret Shopping calls. A single toll-free 800 phone number is shared among existing and new customers – no maze of phone trees. You call them and they answer, it’s as simple as that. Family-owned and operated for over 40 years, their dedication and reputation as champions of the customer are well-earned. 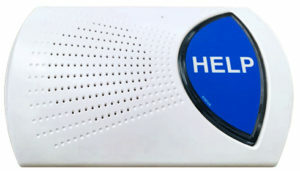 We encourage folks to call and speak with a LifeStation representative when considering the purchase of a Medical Alert System as they invest heavily in the training of their customer care team to help people choose the right systems to fit the needs of either themselves or a loved one. LifeStation’s equipment is Best-in-Class in overall quality and is a refreshing departure from the norm. Their at-home systems are offered in a choice of colors so you can match the unit to your interior. It is a nice touch and something we have not seen before. UL-Certified and manufactured to highest security standards, LifeStation takes their responsibility as a Medical Alert Service provider seriously and it is clear there are no shortcuts taken when it comes to their equipment (base station, pendant, mobile device). At-Home Traditional: Their at-home systems include a choice of either a neck pendant or wristband. We recommend basing your choice on where you would normally wear jewelry or a watch so it feels natural to you at all times. At-Home Plus: This is your best option if you don’t have a landline phone as it is an at-home system running on a cellular network. While LifeStation’s network is nationwide, we do recommend checking coverage in your particular area when speaking with their customer care team. Mobile GPS: Mobile Medical Alert Systems are becoming more and more common as they offer portability and coverage anywhere and everywhere you go. Our reviewers noted the design of their Mobile system is among the leaders in this space. Fall Detection: LifeStation includes the most advanced Fall Detection technology on the market today and offers it as an add-on to any of their systems. We highly recommend selecting this feature as most incidents require immediate attention involving a slip or a fall. Simple Setup: The units we tested were a breeze to set up, taking us less than five minutes to unbox, setup, and test each system with a call to their monitoring center. Whether you choose an At-Home or Mobile GPS system, you’ll receive an easy-to-read diagram details how to set it up. For an At-Home system, simply plug the base station into a power outlet and connect it to a phone jack to complete. For the Mobile GPS system, it’s even easier – just plug the base station in for power and you are done! For anyone purchasing a Medical Alert System for a loved one far away, we recommend choosing LifeStation as it should be something just about anyone can set up quickly and easily. New! “Find My Loved One” feature: This unique, new feature for LifeStation’s Mobile GPS device allows anyone who’s on a subscriber’s (loved one’s) Emergency Contact List to text a number and get the location of that subscriber. This ensures caregivers have the ability to easily & unobtrusively check in on their loved ones and thereby giving everyone peace of mind. Plus, if your loved one can’t remember where they left their Mobile GPS device, the “Find My Loved One” feature can help you locate the device. At this time, “Find My Love One” is FREE and included in all Mobile GPS plans. LifeStation’s plans are wide-ranging to fit most any need and budget. Whether its an at-home system or mobile system for those who want protection on the go, LifeStation highlights their cost at less than $1 a day, which is one of the lowest price points in the industry. Since the equipment is FREE, the fee you’re paying is for the monitoring service. Plus, unless you arrange for additional services, your monthly monitoring fee is price-locked, which means the fee will not change during your entire time with LifeStation. Regarding the term of the agreement with LifeStation, you are never obligated to sign a long-term contract. Other big-name providers can require a 3-year commitment, ouch. LifeStation understands that situations can change over time for loved ones, so they allow you to cancel at any time with 30 days notice. If your system needs to be repaired or replaced, LifeStation is responsible for all replacement of faulty equipment, including battery replacements. There is no extra cost for this. You can add a Lockbox for $2.99 per month. You can also add Fall Detection to your plan for $7 per month. 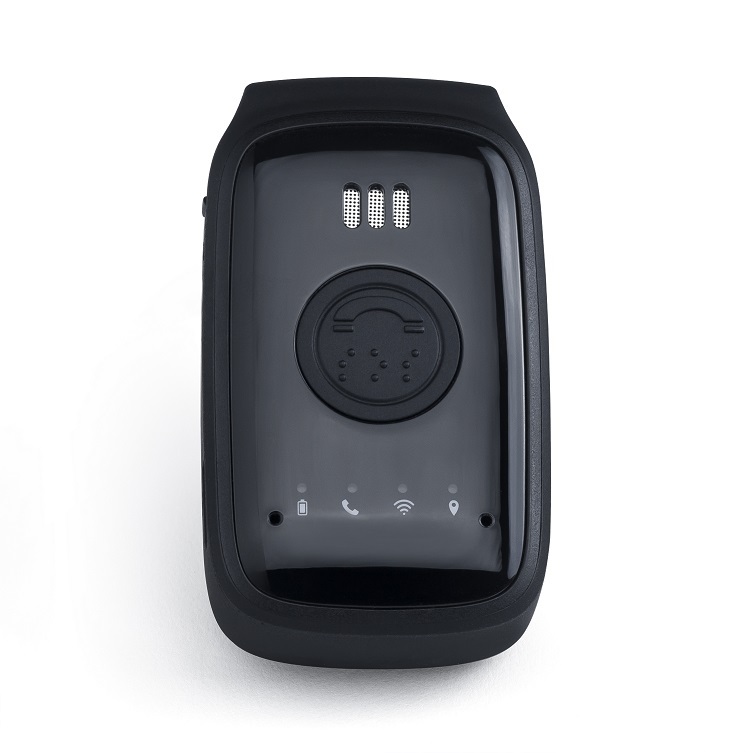 LifeStation’s Fall Detection technology is among the best in the industry and is a must for anyone concerned with falling. Additional bathroom & hallway Help Buttons are also offered for about $3 per month. Their new Find My Loved One feature is currently included in all Mobile GPS plans at no cost. LifeStation has professionally-trained staff on hand 24/7. Their response time is excellent and their staff is all CSAA-Certified. As detailed earlier, they spend more than six weeks in training prior to being placed in their monitoring center. Uniquely, LifeStation proudly claims that every call to them is answered by a live person and not by machines nor automated attendants. Their Customer Care begins and ends with competent and courteous service at all times. While LifeStation has seen tremendous growth throughout its more than 40 years in the industry, they have remained family-owned and operated. With thousands of customers and an outstanding reputation in the industry, InHomeSafetyGuide can recommend them without any reservations. 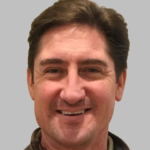 Personnel is highly trained and CSAA-certified – these reps are the best in the biz, period.